Every day is a special day at Hillcrest Camp. Campers are encouraged and supported throughout their day with us. Our staff are trained to ensure that every camper feels safe. Structured play experiences, snack time and cooperative games teach children how to get along with their peers in a positive environment. Monkeys are children born in 2017. This is a half-day group only. Giraffes are children born in 2016. This is a half-day group only. Zebras are children born in 2016. This is a ¾ day group. Lions are children born in 2016. There is a full day group and 3/4 day group. Elephants are children born in 2014 and 2015. This is a full day group only. Please note: We do our best to accommodate requests from parents for children to be grouped with their friends, although we cannot guarantee all requests. Please contact us to find out availability for Safari Land 2019. Our dedicated music specialist provides daily musical programming for all campers, and encourages group participation, imaginative expression and the building of self-esteem. Unique group songs, children's classics and music circles provide endless opportunities for fun and laughter. This is an educational, non-competitive sports program for all campers taught by an experienced sports instructor. The program uses specialized sporting equipment and exercises combined with creativity and positive teaching methods. Popular sports such as basketball, soccer, hockey and baseball are introduced. Campers develop confidence, gross motor skills and team-building skills while having fun learning new sports. 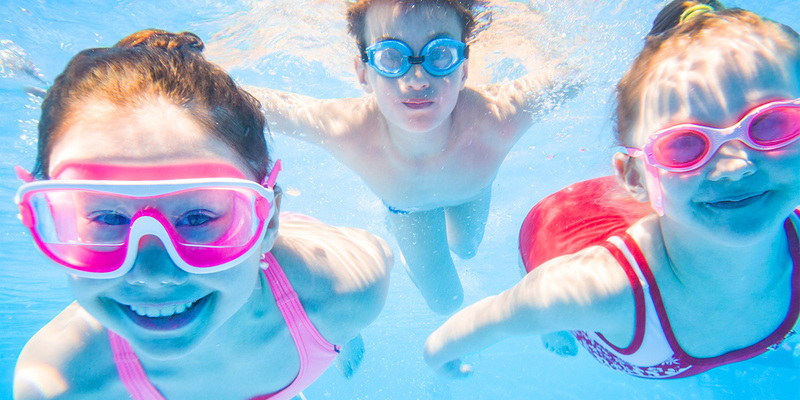 Our campers make a splash in our beautiful salt-water heated pools and water play areas with daily swimming programs. We hire only experienced and qualified NLS certified swim instructors, who understand the needs of the young child. Our focus is to ensure that each child feels secure and comfortable in the water. The children divide their time between the recreational and instructional pools. They are only taken into the main pool in arms, on a one-to-one basis with a staff member. Individual progress is monitored and reports are issued at the end of each session. Children enrolled in half-day and ¾ day programs swim once a day for half an hour, while full-day programs swim twice a day for a half hour each time. In addition to our certified swim staff, all counsellors from your child's group will also be in the pool area to ensure the best supervision and ratio possible. A variety of equipment has been placed in our natural setting within the valley so children can appreciate nature as they develop. Campers use their imagination as they play on our pirate ship, build sand castles on beach-like sand areas, climb the spider net or explore the many challenging play structures. Safety and supervision are always our first priority. Our arts and crafts program features a variety of activities designed to maximize creativity and self-expression. Our experienced counsellors and Early Childhood Educators plan and implement age-appropriate craft projects to develop and enhance fine motor skills. Theme-based art projects are often inspired by weekly camp themes. Campers use a wide variety of materials and media. During rainy days, our campers are challenged and engaged by a variety of indoor games and activities that promote creativity and team-building skills. Our indoor facilities are air-conditioned and the rooms are filled with educational equipment for use when outdoor activities aren't available. Every Friday during the summer, we celebrate with special theme days. 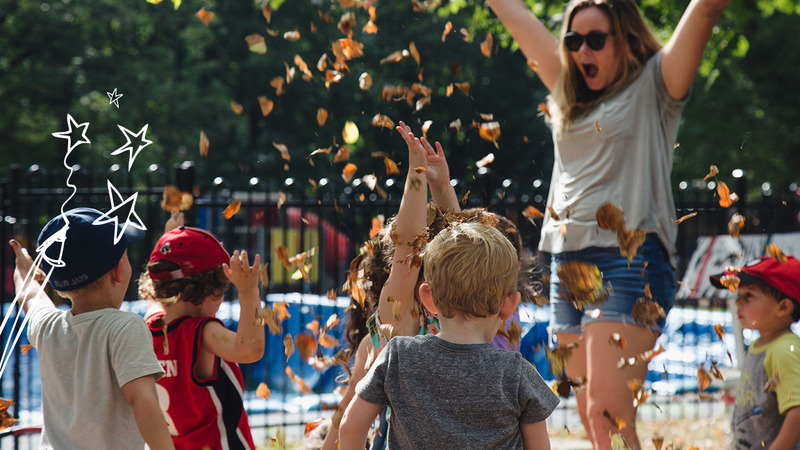 Special events are incorporated into our programs such as costume days, treasure hunts, and carnivals add spirit and excitement to our busy summers. In addition, we welcome special guests and performers to add to our already exciting program! There is no greater power than a child's imagination! At Hillcrest Camp, we use drama to provide a voice to children and develop their confidence in order to let their individual abilities shine. Children will learn basic drama skills and techniques, ranging from story theatre to moving to different types of emotions to miming and tableaux. To celebrate the children's new learned skills, a final play will be created as the camp session concludes. This is a stepping stone to becoming first class actors! An experienced instructor leads a unique drumming program. The program provides opportunities for musical appreciation and a sense of belonging. Fine and gross motor skills are developed, and the children have the opportunity to develop rhythm and eye-hand coordination. The children are encouraged to participate, and through positive encouragement, they quickly embrace the drumming program as one of their favourites! Everyday 3/4 and full-day children enjoy a hot lunch provided by Alphabet Kids Catering Company. Learn more about our drop-off and pick-up procedures. Transportation options are available with prices varying depending on service provided.